Bestselling and beloved author Madeleine L'Engle, Newbery winner for A Wrinkle in Time, was known the world round for her imaginative spirit and stories. She was also known to spark controversy - too Christian for some, too unorthodox for others. Somewhere in the middle was a complex woman whose embrace of paradox has much to say to a new generation of readers today. A Light So Lovely paints a vivid portrait of this enigmatic icon's spiritual legacy, starting with her inner world and expanding into fresh reflections of her writing for readers today. Listen in on intimate interviews with L'Engle's literary contemporaries such as Philip Yancey and Luci Shaw, L'Engle's granddaughter Charlotte Jones Voiklis, and influential fans such as Makoto Fujimura, Nikki Grimes, and Sarah Bessey, as they reveal new layers to the woman behind the stories we know and love. A vibrant, imaginative read, this book pulls back the curtain to illuminate L'Engle's creative journey, her persevering faith, and the inspiring, often unexpected ways these two forces converged. Wow, this little spiritual bio on L'Engle covers so much about her life in general it is hard to know where to start with a review, but I'll give it a go. Author Sarah Arthur became deeply invested in L'Engle's works thanks to the recommendation of a college roommate. Arthur even got a chance to get to know L'Engle in person after the author gave speeches at Arthur's alma mater, Wheaton College. 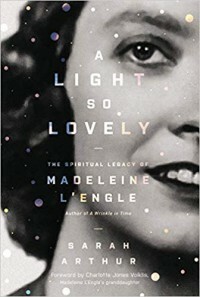 Years later, we readers now have this exploration of L'Engle's spiritual legacy, aided by personal commentary from various notable authors, scientists, theologians and friends and family who share their memorable interactions with the famed author of A Wrinkle In Time, one of dozens of books she authored over her lifetime. The cluster of messages that all of Madeleine's books transmit include: you are loved, you matter, your questions are important, your joy fulfills a promise, fear not. Though not the only topic covered, the bulk of this book focuses on L'Engle's lifelong spiritual journey: how it evolved, how it was worked into her writings, and how she was, at times, vilified by some of her audience for being, as they saw it, a hypocritical Christian. They questioned how she could consider herself a person of honest faith, a true follower, if she continued to publish books that incorporated elements of magic and science fiction. L'Engle was never apologetic for her beliefs or her methods of practicing them and this book illustrates how she would hold her stance against critics. In its essence, L'Engle's belief system can be boiled down to "sacred can be found in the secular". She insists that faith is a personal experience, so it should be a given that there's no one way to do it. Yet the world is full of so-called believers who will, in fact, happily line up to point at others and say yes, they ARE definitely doing it (religion) wrong. A Light So Lovely rolls out testimonial after testimonial, all these generations of readers who have had their own faith journey strengthened/ renewed / restored by L'Engle's influence, often without her knowledge... usually simply through the readings of her wonderfully whimsical and inspiring stories... that yes, at times, do incorporate subtle Christian imagery, much like C.S. Lewis (who is compared to her quite a bit in this book). Many interviewed for this book explain that her stories helped them feel it was okay to have questions about doctrines or experience feelings of skepticism or confusion. All she ever asked of her readers was to strive to never lose their childhood sense of wonder about the world. Truth sneaks in through the back door of the imagination, while our defenses are down, when it has a greater chance of changing us from the inside out... Madeline asserted, "...stories are preparation for living in the real world with courage and expectancy.... possibly as a defense against the troubled, everyday world of my childhood, for nourishment I learned to rely more and more on the private world that I discovered in books." The story regarding the development of A Wrinkle In Time I found pretty interesting. L'Engle and her husband had been living in Connecticut with their family up until 1959, when they chose to move the homestead to New York. But before starting the move, they decided to take the family on a cross-country roadtrip, camping and visiting major US landmarks from coast to coast. On this trip, L'Engle toted around a box full of books by scientists and philosophers which she delved into each night after the rest of the crew went to bed. The reading of these books got her thinking which led to the germination of a loose outline of what would become A Wrinkle In Time. When she got settled back into a home, she had a first rough draft knocked out in three months! When the first book came out, her focus wasn't so much on the accuracy of the science presented in the novel but scientists then (and even to this day) sure weighed in. 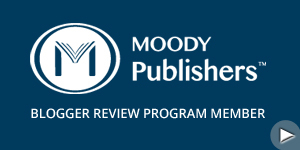 Once she had a plot idea for the sequel, she realized it would involve cellular biology and so dived into an in-depth study of the actual science behind her ideas months before any writing of the novel even began. Arthur also gets into a discussion of the writing process itself as well as a look into the dynamics of the creative life in general, comparing L'Engle's process to her own. Much of this portion is to be found in the chapter "Fact and Fiction", the chapter I struggled the most with... mainly because it proved the most thought-provoking for me, being a writer myself. Arthur points out the perhaps controversial choice L'Engle made to partially fictionalize her memoir series, The Crosswick Journals. Investigating this story, Arthur poses the question of how in the right L'Engle was to do this and still publish these books as nonfiction. L'Engle excuses herself by saying its not so much lying, but more like embellishing (part of me argues that her reasoning tiptoes into semantics) but Arthur asks then how far does the writer's duty extend? One should be accountable for their thoughts, beliefs, word choice, etc.. but where does the duty end? Or does it? How far is an author responsible for the potentially damaging reaction a reader might have if their personal truth or belief does not echo the author's? Arthur uses L'Engle's own family as an example: though L'Engle stood by the validity of her journals, her own children repeatedly came forward and said things just did not go down as she said. Likewise, L'Engle would dispute their versions, the children would argue that the journals presented a too idyllic version of their home life, back and forth, back and forth. Surprisingly, a couple of her kids actually pointed to the novels in her Austin Family Chronicles series as more true to their reality, even saying it hit TOO close to home at times. In fact, adopted daughter Maria flat out said she HATED the Austin Family books! It makes one wonder, after reading that L'Engle's youngest child, Bion, died of liver failure induced by alcoholism at the age of 47. With a foreword by Charlotte Jones Voiklis, L'Engle's granddaughter, A Light So Lovely sums up L'Engle's life full of complicated, confusing, sometimes even saddening ideas, thought processes or choices with one basic idea: when it comes to life, just show up and be present no matter what. Don't expect to always have the answers or to even be happy every day. Life is a collection of highs and lows, so ride out the lows so you can be here for the highs. I was really enjoying the first half of this book, even maybe thinking it might make it on my favorite reads of the year list, but there were some slow bits that changed my mind. There's a portion in the middle where the focus goes off the life of L'Engle and just turns more into a sermon on theology itself, to the point where I was starting to tune out a bit, if I may be honest. This trend continues on and off (though less so) for the rest of the book, so consider yourself warned if heavy-handed theology is not your thing. Even so, there's still plenty of fascinating L'Engle focused material here that has inspired me to getting digging into her bibliography again, revisiting old favorites as well as finally getting to those I've not yet tried. *Something to note: since this book covers the span of L'Engle's life, keep in mind that there will be some spoilers for her books in here, primarily the Time Quartet and the Austin Family Chronicles. FTC Disclaimer: Handlebar Marketing and Zondervan Publishers kindly provided me with a complimentary copy of this book in exchange for an honest review. The opinions above are entirely my own.